The Global Property Guide looks at inheritance from two angles: taxation, and what inheritance laws apply to foreigners leaving property in Seychelles: what restrictions there are and whether making a will is advisable. 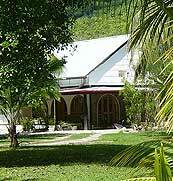 No inheritance taxes or estate duties exist in the Seychelles. 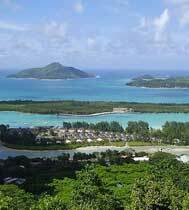 What inheritance laws apply in Seychelles? The national law of the deceased governs inheritance in Seychelles. The French Civil Code or the "Code Napoleon", which has been amended over the years, forms the basis of the civil law of Seychelles. The principle rule applying to a deceased foreigner is that the law of his/her domicile generally governs the inheritance of his/her estate. A person's domicile is defined, according to the English law of domicile, as the country of his/her nationality. The Supreme Court of Seychelles is vested with jurisdiction to determine all matters relating to wills and inheritance issues. The Seychelles Court generally enforces the inheritance rights of heirs according to the national laws of the deceased person, including rules of forced heirship, if applicable. The doctrine of renvoi is at best a blurred concept in Seychelles, and the outcome of the referal of inheritance proceedings from the country of domicile of a deceased foreigner to the Seychelles Supreme Court is unpredictable. Nevertheless, if the Seychelles court determines as a threshold issue that it has jurisdiction based on the domicile of a foreigner, and/or on the place where the property is situated, and/or on other relevant factors, then it will generally apply the principle rule that the law of the foreigner's domicile is applicable. The Seychelles court deems the law of a person's domicile to be the same as Seychelles law until proved otherwise. Forced heirship is a cornerstone of Seychelles inheritance law. Forced heirship is applicable to all citizens of the Seychelles, and also to foreigners owning property in Seychelles who fall under the jurisdication of Seychelles civil law. Children are "héritiers réservataires" to the succession of their parents, even if they are excluded from a will. If the deceased leaves three or more children, they are entitled to three quarters of the estate, shared amongst them equally. If the deceased leaves two children, they are entitled to two thirds of the estate. A sole heir is entitled to half of the estate. Illegitimate children conceived within the marriage of one of the parents have their shares reduced to half of the share of legitimate children. The entitlement of children takes into account the entire estate of the deceased, including movable and immovable properties, and properties of whatsoever nature, wherever situated. Children may not be deprived of their right of succession, but a wife may be excluded from the will of a spouse to the extent that she is not entitled to any reserved portion. That part of the estate which is not reserved for the children may be disposed of by will to any person chosen by the testator. There is no community of property between spouses in the Seychelles, although a husband and wife are entitled to enter into a legal agreement regarding their individual property rights. Trust structures may be used to avoid forced heirship. The inheritance law of the Seychelles can be avoided through acquisition of property in Seychelles using a trust structure. Trust structures are suited to avoid forced heirship and are widely used for this purpose The structure should have shares in an offshore company in a foreign jurisdiction, which does not recognise forced heirship as the ultimate shareholder. Upon the death of the owner, the laws of the foreign jurisdiction apply, and any forced heirship rights in respect of the shares in the ultimate holding company are not applicable. A person must be living at the time of the opening of the succession in order to be eligible. A person not yet conceived or not alive at birth is excluded from the succession. An heir may, on grounds of unworthiness, lose his/her rights of inheritance. For example, if the heir has been convicted of murder or an attempt on the life of the deceased, or has made an accusation against the deceased of a defamatory nature in respect of a serious offence. Also excluded from the succession are heirs who, having information about the unlawful homicide of the deceased, fail to report it to the authorities. Wills can be made in Seychelles or elsewhere. The Seychelles court recognizes wills made by foreigners in a foreign jurisdiction, written according to the laws of the foreigner's domicile. Under Seychelles law the court which has jurisdiction to determine the validity of a will with respect to moveable property is the court of the country where the testator is domiciled. With respect to immovable property the validity of the content of the will is determined by the law of the country where the property is situated. An authentic deed is made in front of a notary, typed from the dictation of the testator and read back, after which the will is signed by the notary, with an express mention in the will that legal formalities have been followed. A holograph will is valid only if it is wholly written, dated and signed by the hand of the testator. The paper on which a secret will is written must be enclosed and sealed. The will must be delivered to a notary and two witnesses, in front of whom the testator must declare that the contents of the sealed papers consist of a signed will. If the will was written by another, the testator must affirm that he/she has personally verified the text, upon which the notary draws up a memorandum and signs the sealed papers. Seychelles has an Inheritance Law relating to "commorientes". If several persons perish in the same accident, Seychelles law provides that in the absence of any evidence to the contrary, all victims are presumed to die at the same time. The French Civil Code, similar to the English rule (that presumes accidental death must have occurred in the order of seniority of victims) was amended, as this was seen to be a source of injustice in some cases. Government permission is not needed to inherit property. 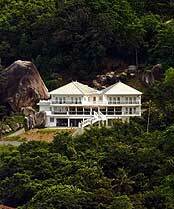 Under normal circumstances a foreigner must first obtain permission from the Seychelles Government to acquire property in Seychelles, either personally or through a local or international structure, of which he is the beneficiary; however, a foreigner may inherit property in Seychelles without need for Government permission. Ownwership of inherited property must be registered. A foreigner who has acquired property situated in Seychelles by inheritance has to file an affidavit of transmission with the Land Registrar, signed by the Executor or Administrator of the estate, whereupon the land will be registered in the name of the heir. How high is income tax on residents in Seychelles? I strongly belive that Seychelles as an independent country should and must have it's own laws instead of relying on the frenchand british laws. Time a have changed and the old colonial days are gone , the seychellois people are now masters of their own future and capable of running their counrty and also capable of drafting their own own laws, take for example the drafting of the National Constitution which were drafted b y Seychellois.